This is the third of a three-part series on calibration and optimization. The first part can be accessed here. The second part can be accessed here. Sometimes optimizing one objective does not give the best solution, for example, when judgment is needed to determine which solution between many equally optimal solutions is truly the best, given the tradeoffs between them. While it is possible to approximate the tradeoffs by assigning different weights to each objective in a single-objective optimization, it is quite likely this will not find the best solution for your situation. In these cases, it is best to use multiobjective optimization, i.e., optimize for multiple objectives at the same time. A solution that outperforms another solution in at least one objective is non-dominated by the other solution. The set of non-dominated solutions in the population are called the non-dominated front. 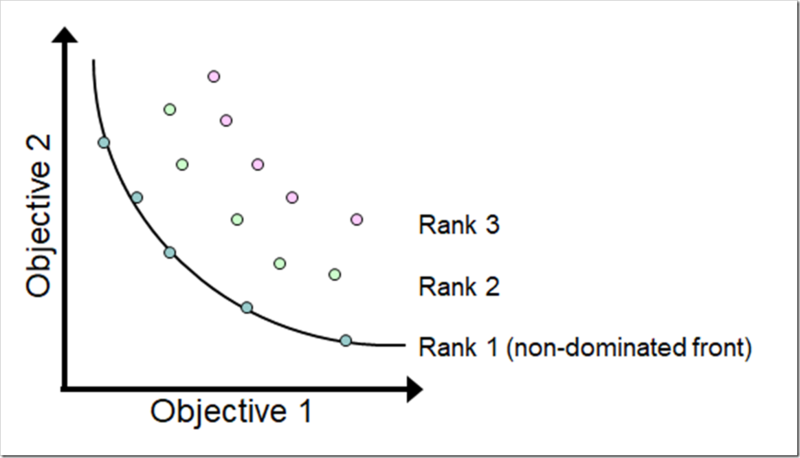 A non-dominated front (Pareto rank 1) for a minimization problem is shown in the figure below. Note there are also two dominated fronts in the set of solutions (Pareto ranks 2 and 3). The characteristic convex shape clearly shows the tradeoffs between the two objectives with the best compromise landing at the middle of the bend in the curve (called the knee). Beyond the knee in either direction, you experience diminishing returns. The goal of a multiobjective optimization is to push all of these solutions toward the non-dominated Pareto front, which is the ideal set of optimum solutions. Be aware that you cannot be sure – without knowing the Pareto front – that the final set of non-dominated solutions from a multiobjective algorithm reached the Pareto front. However, you can test if running for additional generations improves the set of solutions (i.e., moves closer to the Pareto front). While it is possible to optimize for many objectives simultaneously, it becomes somewhat impractical to optimize for more than three objectives: a) as the number of objectives increase, the population size must increase exponentially and the number of generations must increase significantly (the computation time increases combinatorially as the number of objectives increase) and b) it is difficult to visualize the non-dominated fronts when you exceed three dimensions. The discussion in this post will be restricted to two objectives. In the Limits to Growth series, we explored the Bass diffusion model. The model is shown again below and can be downloaded here (with all the changes described in this post). As you may recall, customers are converted by both advertising and word of mouth. In the closing post of that series, I discussed the importance of marketing spend to get the ball rolling. 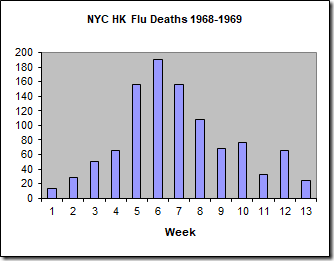 Specifically, without it, growth is very slow. 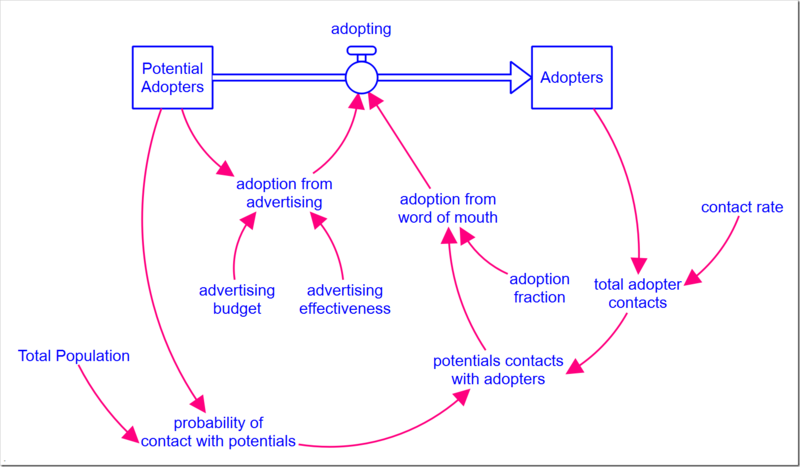 Additionally, as more customers are converted, the word of mouth effect dominates how fast the product is adopted, making the marketing spend less and less effective. By effective, I specifically mean that it results in conversions. 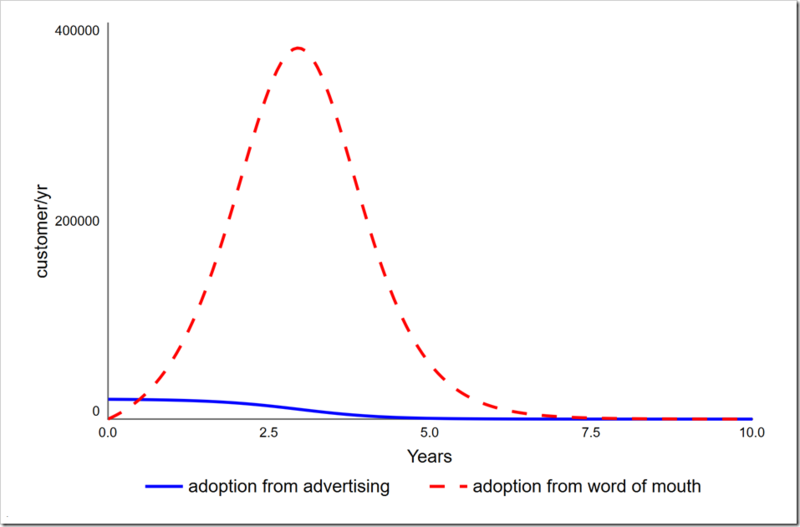 The graph below shows the two components of adopting and how the dominance shifts from marketing spend to word of mouth only six months after the product launch. If we are launching this unique product, say, the Pet Rock, we would be very interested to know whether we can increase our product lifetime profits by investing less in advertising. We can run an optimization that seeks to maximize conversions and minimize advertising spend over the life of the product. This is the second of a three-part series on calibration and optimization. The first part can be accessed here. The third part can be accessed here. Part one of this series explored calibrating a model using the Stella® Architect/Professional optimization feature (introduced in version 1.5). This post will explore using this same feature for single-objective optimization. 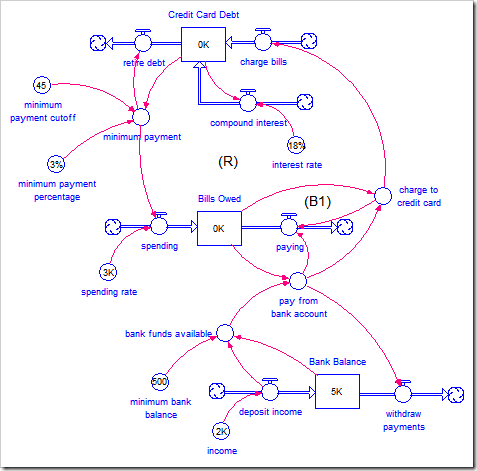 Last year, I explored the Shifting the Burden archetype with the example of using credit card debt to pay current expenses. In that case, adding feedback between expenses and an ability to pay allowed the credit card debt to stabilize. What if we instead wanted to maximize our savings and/or minimize our debt? The original model is shown below for reference and can be downloaded here (with the optimization configurations described below). Most of these parameters cannot be adjusted by the person trying to control their debt. The interest rate and the minimum payment parameters are set by the credit card company. Let’s assume the income cannot easily be adjusted either, for example, by working overtime or taking on a second job (as we did before). That leaves only the spending rate, which we varied last time, and the minimum bank balance. The latter, you may argue, is set by the bank, but different banks and different bank accounts have different minimums…before they impose a charge. The balance can still fall below the level the bank sets. We will perform two separate optimizations: maximize savings (i.e., bank balance) and minimize credit card debt. We should not expect them to give the same results.